Clean and deodorize your microwave. Because if you are like many people out there, you don’t really think about cleaning your microwave all that often, I mean, the radiation probably keeps it clean and sterile right? First of all the radiation will kill bacteria if left on long enough. Microwaves do not cook via radiation directly. Because the radiation they produce only affects water molecules in the food you are defrosting or heating. The heat is what actually kills bacteriFinally microwaves are an effective way to kill bacteria but only if the items in the microwave heat evenly and you leave them in long enough to be very hot. What if you only gently reheat a drink? Because the microwaves will be drawn to the high water content in the drink not the bacteria hanging from the crusty dirt on the inside of your machine. It only takes a tiny crumb coated with bacteria to fall into your mug. Because you only gently reheating the drink rather than boiling it the temperature will not be hot enough to the kill the bacteria. So you do need to keep your microwave clean and these are the best ways to do this. So how can you get your microwave really sparkling clean? For instance the first thing you need to do is take out that rotating glass plate that collects the majority of the spills. Because this is usually the piece people clean regularly as it usually fits into the dishwasher. Wash with warm soapy water like you would with any other plate. Grab a microwavable bowl of warm water and mix it with 2 tablespoons of baking soda. Pop this in the microwave and turn it on for three to six minutes. When you hear the microwave ding, leave it in there for another minute or so and let the steam fill the microwave. Next, grab a clean sponge and start scrubbing. The steam will have loosened the spills and dried up food. Furthermore, by using baking soda, you will have absorbed lots of the odour that was lingering inside. Many people swear by vinegar as the only method, as they feel it is better for removing grease. Pour about 250ml of vinegar and 250ml of water into a microwavable bowl. You need to boil this longer than the baking soda method, between 5 and 10 minutes should do it. This will allow the steam to soften the spills, splashes and food. Grab your sponge and the grime should come off with ease. The acetic acids in the vinegar sanitise and deodorise your microwave. No matter which of these methods you use, you will need to clean the door in and out. Your basic glass cleaner should do the job, (it works on the inside too) as either of the methods will have loosened any dried food. Add a little vinegar if you wish and some elbow grease and your microwave will look spick and span. In the future, dry and wipe away spills quickly after they happen, otherwise they will continue to cook and will become more and more stubborn to remove. As a microwave is a hazardous substance it will need to be recycled rather than just thrown away. Contact a local recycling centre to see what they accept. The good news is that you can use your microwave to disinfect kitchen clothes and washing brushes. Because of the items they come into contact with combined with being wet, they are havens for bacteria. If you wet these items and microwave them for a couple of minutes you will be killing virtually all the bacteria on them! You can buy replacements very cheaply. 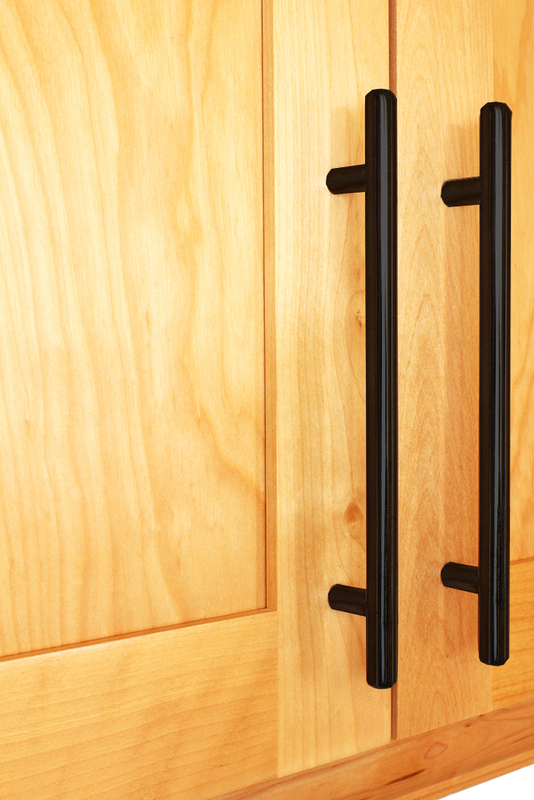 You can find a website with a good range of cupboard handles easily online. We like the range at the Handle King, there are a mix of materials (brass, aluminium, stainless steel), colours (matte black, copper, polished/satin chrome) and styles (traditional and contemporary) so you can select a style that you love but is different to what you have grown tired of. One of our likes is the Copper Cup and Brass Victorian Bow handles but there is also a great range of modern handles for under a pound each. We tried a couple of these handles out. Money saving tips for home renovation projects. So is your kitchen looking tired and dated? 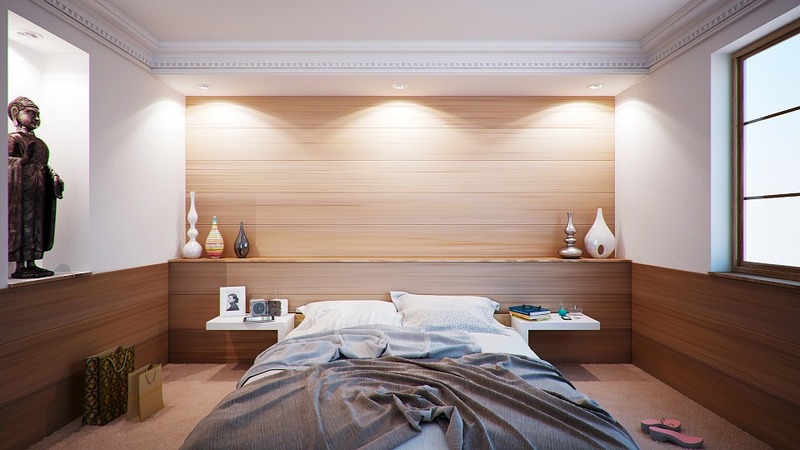 Are you dreaming of a plush new bedroom? Or do you wish you could install a sparkling new bathroom? Because if you’re itching to update your home don’t let the cost put you off. Finally with some smart shopping, a bit of elbow grease. It is possible to renovate almost any room in your home without breaking the bank. In this article, we’ve shared five money-saving tips that will give your home a new lease of life. Without the hefty price tag that often accompanies a major renovation project. 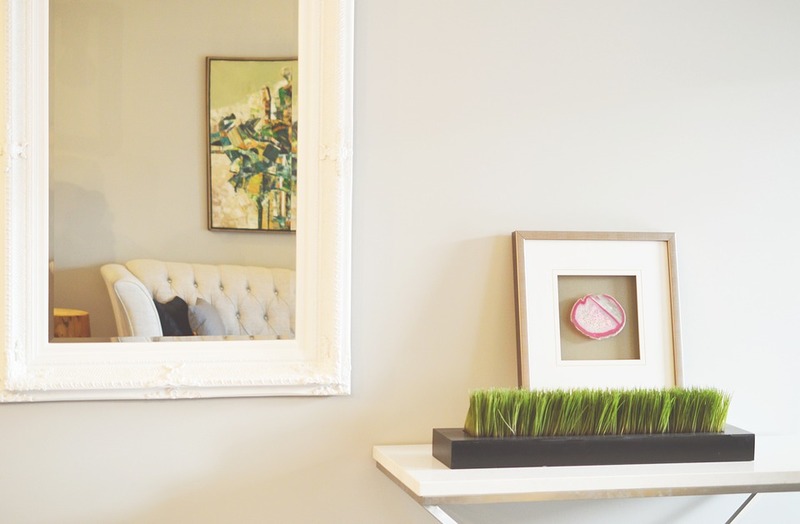 Just read on to learn how you can transform your home on a budget. Before you begin, you’ll need to work out your budget. Because this will dictate everything from how much you can spend on new fittings and materials. To how much work you’ll need to do yourself. So it’s vital to get an accurate estimate of what you can afford to spend. Therefore to get started, write a plan of every change you want to make (no matter how minor). Set about finding out how much each step of the process is likely to cost. Remember, many contractors and tradespeople will offer a no-obligation estimate of their costs. So take advantage of this and get an idea of what you’ll need to spend on labour. Finally you can learn more about finding a trustworthy tradesperson for a fair price using this guide from Citizens Advice. For instance wherever possible, you’ll also want to stick to a cash budget. Because paying for renovations on finance or using credit cards could quickly mean that interest charges spiral. Remember, even with the best planning, there’s always a chance that your project will run over budget. So it’s always sensible to build in some wiggle room in case of unexpected expenses. As a result even if you don’t need to dip into your reserve fund, it will still give you peace of mind to know that it’s there. It’s often possible to avoid some of the more expensive jobs simply by updating the features you already have. For instance, some new handles and a lick of fresh paint or a new stain might be all you need. To elevate the look of those dated kitchen cabinets. Or, you might be able keep the same units and simply fit new cupboard doors. Be inventive, and try to keep your existing fittings and features wherever you can. You’ll also want to think very carefully before you throw anything away. As many offcuts and scrap materials can be re-used. 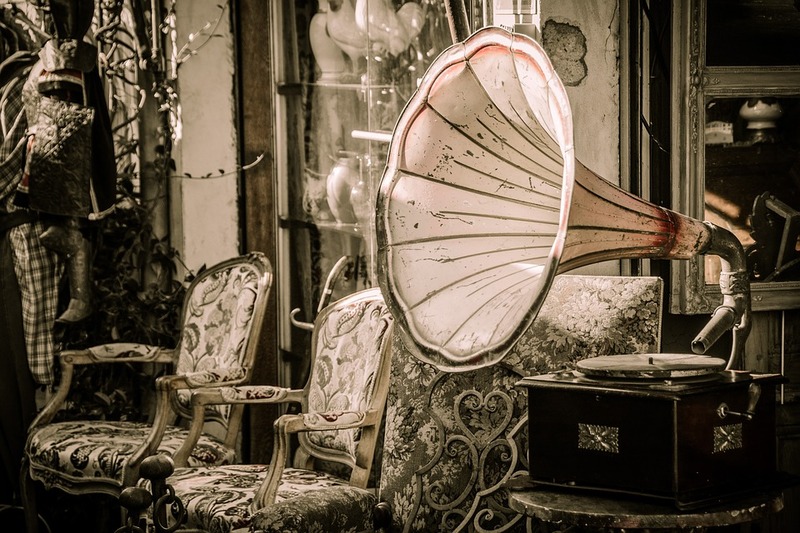 With a little creativity, you’ll find that all sorts of odds and ends can be repurposed. For instance, any cut-offs from your new wooden worktops can be sanded, polished. Then mounted on a wall to create stylish freestanding shelves. Curbing waste will also help to keep disposal costs to a minimum. As you’ll have less to throw in the skip or take to the tip. Many people also opt to take their rubbish to the tip themselves. To make dealing with waste more affordable, a trailer, can help you take any rubbish straight to the tip as and when you need to, so it’s great if you don’t have the cash — or the space — to hire a skip. Skirting boards, we all have them but how do we upgrade or look after them. As we have begun to decorate we are realising that it is all about good quality small touches. 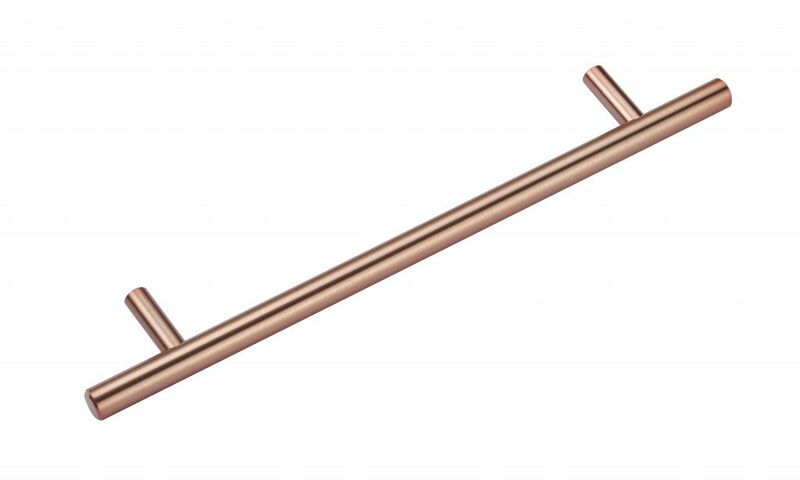 Because these make the difference; lighting, door handles, taps and skirting boards. These things can easily be overlooked for flashy pictures and big items like sofas. However, they are the bits of your decor that you really notice. Furthermore you often touch too so the quality (or lack thereof) can’t be missed. Since we have never written an article on skirting boards I thought I would share what I have learned with you. First of all skirting boards do several things. They protect the wall from kicks, bumps and scratches. They tidy up untidy edgings and they add to the style of your room. You may have come across the term ‘Architrave’. It is similar to a skirting board but not quite the same. It is the wood or moulding that is used to frame doorways. You should try to match up the shape of your architrave and skirting boards to create a cohesive flow. Skirting Boards and Architrave come in a variety of profiles. They can be a simple like a plank of woo. Or be shaped and moulded into various designs and styles. There aren’t any standard terms for skirting board shapes. But you can get an idea of the range of shapes available from any good skirting board retailer. As with any DIY job, to get a good result you need to have the right tools. Skirting boards last a long time so you need to fit them right. If you can’t afford to buy the right tools then borrow or hire them. If that is not possible then you are best paying a carpenter to do the job for you. To fit skirting boards well you need to be able to cut exact lengths of wood cleanly. Doing this with a hand saw is nearly impossible so you really need a ‘mitre saw’. These tools have circular blades mounted in a handle that you can move up and down over a fixed plate. The fixed plate will have various attachments to help you fix the wood in place. So you can measure exact angles before cutting. 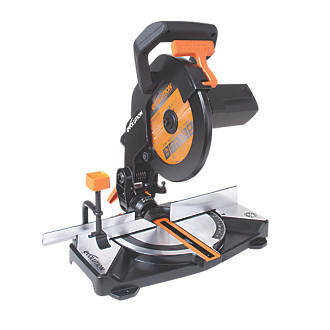 Professional mitre saws are expensive but can pick up a basic domestic version for about £60. Obviously, this tool can be dangerous if you don’t operate it carefully. You should always read the manual before you operate it. It is also a good idea to practice making some cuts on spare wood before you start. So you can be confident of obtaining clean precise cuts safely. Although the saw looks quite intimidating, because the blade is fixed in a housing. You can secure the wood before cutting. It is actually much safer than using a hand saw or axel grinder. So use some care but don’t be put off. Precise measurements are essential. You will need a good tape measure and sharp pencil for marking out the wood and floor. It will be hard to measure accurate lengths on your own. So a second person to secure the measure at one end while you work at the other is ideal. For an external corner, you should push your skirting board against a wall. Then run your pencil along its edge at the corner and past the wall edge. Do the same on the other wall and where the lines cross is where your skirting boards should be cut. Measure your boards carefully and then use the mitre saw to cut a 45-degree angle. For internal corners, the process can be more complex and you may need to ‘scribe’ or use a ‘profile gauge’ to get a good fit. The video below is a comprehensive guide to the more complex techniques. This a technique for getting skirting boards to joint securely and neatly or fitting the skirting over imperfections in the flooring. It is much better to understand this technique with imagery. The video below is only a couple of minutes long and explains the process simply. If you have modern, flat plastered walls then you can use wood glue to fix your skirting board. This is a simple and fast way to fit your carefully measured and cut skirting boards. Apply the glue to the reverse side of the boards in a zig-zag pattern. After fixing to the wall carefully wipe off any excess glue. You will need to hold the boards in place with weights or heavy furniture while the glue dries. In some cases, you may not wish to use glue or your walls might be uneven making glueing impossible. Then you will need to nail or screw the skirting boards into the wall. If you have stud walls use a stud finder to work out where the wood supports are. Then connect your skirting boards to the wood rather than trying to nail or screw them to the plasterboard. It can be helpful to drill pilot holes into the skirting board planks before you place them against the wall and fix them in place. Note that if you use nails or screws you will need to fill or paint the boards afterwards to hide the fixings. You will need to use a wood filler to finish off the job. All your corners will probably need to be filled. No matter how carefully you measured and cut – imperfections in your floor, walls and the wood planks will mean there are gaps where the skirting board should meet. There will also probably be gaps at the top between the skirting board and wall. And maybe between the floor and skirting too. It is best to carefully fill these gaps when you fit the boards. If you don’t the skirting will look messy and the gaps will accumulate dirt over time. Modern Veneers used to be a dirty term. However, over the last 20 years, materials and printing have changed. They can create hardwearing surfaces. Fast to achieve, cheap and the effect looks natural. Plastic veneer comes in a range of colours and patterns. It is basically sticky back plastic on a huge scale. This type of veneer covers old fashioned or damaged worktops. Kitchen worktops can be refreshed and bathrooms updated. These veneers won’t last foreverthough. But they can transform a room for years. Meanwhile you can save to replace the entire worktop. A cheap way to make a room sparkle. Especially if you are trying to sell or rent a property. Application is easy but take your time. Avoid getting air bubbles under the veneer. Use a length of wood or rubber spatula to flatten the veneer. Then slowly peel off the backing. Using the wood to flatten the veneer as you peel. Or you will end up with an uneven finish. Exposed brick walls are a real design feature. However in plasterboarded new builds they don’t exist. You could bring in real bricks to create the effect. But it is expensive, messy and will eat up space. 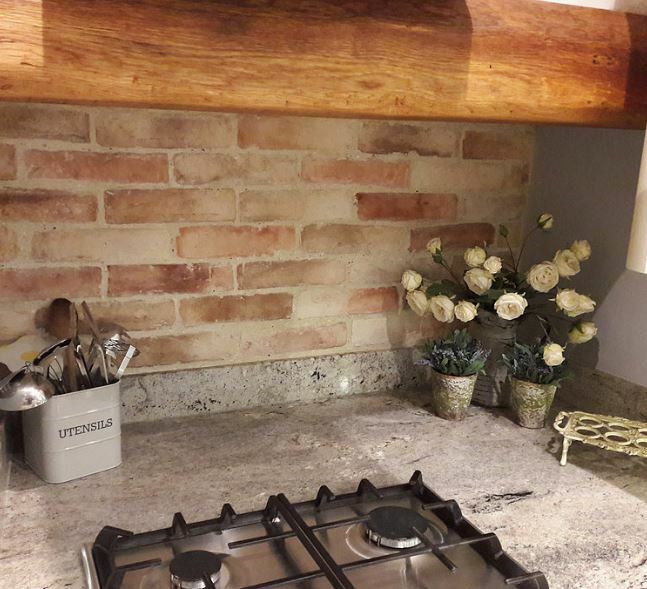 You can buy ‘Brick Slips‘ to create a brick effect easily and cheaply. 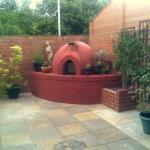 On a terrace or a garden choose a UV resistant tile. The tiles are made from hardwearing plastic backing with real slices of cement stuck to them. They look good from close-up and they also feel real. To fit the tiles, clean the wall removing all grease and dust. Use a strong tile cement that is suitable for exterior spaces. Especially if you are working in a garden or on a terrace. Use 10mm tile spacers between the tiles. Once your tile cement has dried you can grout or cement between the slips. Note that grouting or pointing takes time. It adds to the finished effect so take your time and do small sections. Rather than trying to rush and complete the whole wall in one go. There was a time when tiles were the option for wet steamy bathrooms. There is now a large range of bathroom panels available. If fitted correctly they are waterproof and easy to clean. They come in large sheets so there is very little cutting, joining or sealing compared to tiling. Easy to fit over existing tiles. Or used to cover non-waterproof surfaces like plasterboard. The tiles come in a range of designs and effect. These can be tile effect, high gloss colours, glitter finishes and printed images. Use a quality adhesive to glue the panels to the wall. But you need to invest in quality corner pieces and joints. This will ensure that the joints are neat and waterproof. You can buy these with your shower panels. Shower panels do work out cheaper than tiles. But the biggest saving is the time taken to fit and finish. Shower panels are fast to fit and need little skill. Tiles take time and skill to get neat edges around sockets, sinks and toilets. You then also need to grout and clean the tiles. Pizza, nearly everyone likes them. They are easy to make and easy to customise and can be tailored to any particular taste no matter how fussy you are. 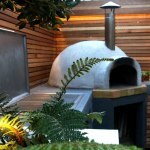 As a result garden pizza ovens are becoming more popular. Because you can buy basic complete units for your garden for £800 (makes one pizza at a time) but prices rise quite quickly for larger and more ornate models. Surprisingly ‘build your own kits’ are even more expensive. At these prices you are going to have to be eating pizza for every meal all year to get your money’s worth. As a result a better option is to make one yourself without buying a kit. 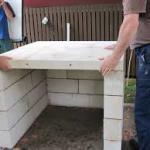 It’s actually pretty easy and does not require many materials or specialist tools. So it’s a great project to complete over a weekend or two with friends or family. The ovens can be used to make pizzas, bakes, bread and slow roast meat so they do make a good investment. 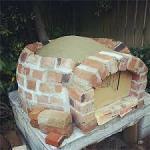 There are lots of different ways of building an oven. The method outlined here is very simple and can be completed by the novice. A more experienced DIY’er can have fun with it and build something more impressive or unique. The oven will not last forever as cracks in the interior will eventually form. At that point just build another one! 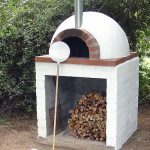 The River Cottage Pizza Oven has published a very detailed printable method so have a read of theirs and ours and do whichever you feel more comfortable with. Coat the sand in clay, bricks or stone. Cut an opening and remove the sand. All these steps can be simple and rustic for beginners or more involved for those with more skills. First you need a base to retain the heat in the oven, form a flat cooking surface and raise the oven to a level you can safely use. You want the central fireproof bit of your plinth to be about 80cm wide with a bit more room to form the sides of the oven and the doorway. There might already have levels in your garden that you can use or you might need to build one. You can create a frame with wood and fill it with packed rubble and concrete. 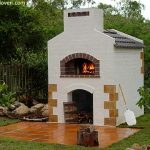 Remove the wood after the concrete has set or top the structure with brick or concrete so the center of the oven never comes into contact with the wood frame. 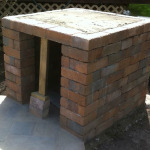 Alternatively construct a base from stone, breeze blocks or bricks. You could buy the materials or just use whatever you already have in your garden and garage. 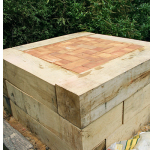 If you already have a raised section of your garden simply dig out a square base and fill it with concrete which you can top with London bricks if you wish. It is important that the base is flat. 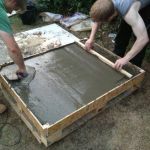 If you are building a base with concrete or mortar you need to leave time for it to set before you start to to build the oven on top. So build the base one weekend and the oven the next. Now you need to form the shape of the center of your oven in the middle of your base. 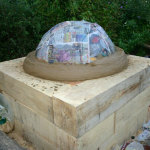 Use damp sand and mound it up into a dome shape. Later on we will discard all this sand – its just there to hold the roof up while the outer layer dries. Therefore the sand will be where the really hot air is when the oven is working. The sand should not touch anything flammable such as the wooden cladding to your base. You need to leave room around the sand mound to form the walls of your oven and a doorway – so think about the available space and mark out the maximum width of your sand circle before you start. We want the dome to be as round as possible so if your base is 80cm wide the height should be half that – however there are no hard and fast rules. 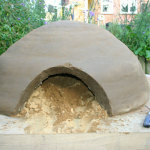 The oven will be hottest round the edges so a wide base is important for even cooking of pizzas. 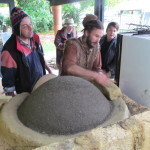 Pack your damp sand tightly in place and shape it until you have a reasonably neat dome. 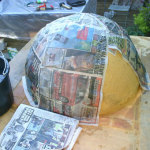 Then coat it in sheets of damp newspaper. This is important preparation for the next step. If you don’t coat the sand then the next stage will be messy and your oven is more likely to crack. You now need to form the oven wall around your sand. 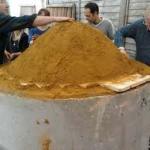 For this you need to use puddled clay (this is a method of mixing clay with your feet to get an even mixture). 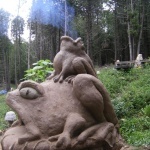 It is tedious to puddle clay on your own but it’s actually a really fun thing to do with mates or kids. If you are using clay; mark out the doorway on the exterior. 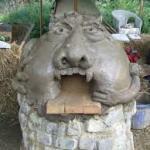 Once you are happy with the size and shape just use a carving knife to cut through the clay. Leave everything to set for at least 24 hours. Then remove the sand. Light a small fire in the center of your oven to help drying. Some small cracks might form – just fill them in with more clay. See what happens to the smoke – if it builds up in the top of your oven you need to make your doorway higher just to the point where the smoke gently flows out. The door is important to help heat retention, protect the entrance of the oven from wear and to create a chimney. It is best to build the entrance from stone or brick. 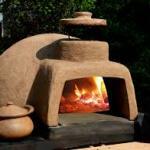 To fuel your pizza oven the easiest way you can buy specially made pizza oven wood briquettes. 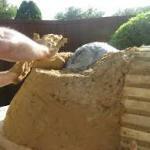 Use your sand to form the internal shape of the entrance way which will support the bricks. Use clay and bricks to build the entrance way around the sand. 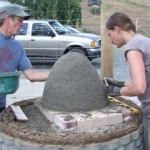 Where the entrance meets the dome; use clay to form a small chimney to let the smoke out. Leave to dry for 24 hours and then remove the sand again. 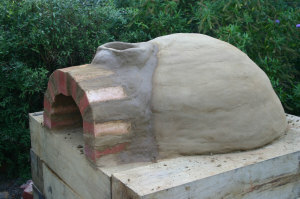 For best results you should coat the oven with a layer of insulation. To do this mix clay with water until you have the consistency of cream. Then add wood shavings to make a workable paste. Coat the oven and chimney with this. You can leave the brick doorway uncoated if you like the look of the bare bricks. By the way at this stage feel free to personalise your oven. Ta da – all done. Lighting up your home instantly makes it appear larger. Natural light also has a positive psychological impact and it can make us feel healthier and boost our wellbeing. Below, you will find some practical tips and easy-to-apply techniques. This will bring more light into your home and make the space feel brighter. Opting for bathroom and kitchen units with shiny surfaces (i.e., highly-reflective tiles) will contribute to making the rooms look bigger and brighter, turning them into mirrors. You may also add mirrored, glass or metallic accessories. Even furniture with a reflective surface blended with other matt surfaces to create a statement look. Besides helping you maximise available light, they also make a stylish addition to the home décor. Holiday traveling in general isn’t always fun, but it’s especially miserable during the holidays. Long lines, long drives to the airport, and frequent delays make the process hard to endure. Here are our top ten tips and tricks for surviving holiday travel. Leaving early is really the only surefire way to get to the airport on time without issue. But there are a few other things you can do. First of all, if you can avoid checking luggage you should. Checking bags can add around 90 minutes to your trip.So checked luggage really cuts down on time. Printing your boarding pass online as soon as possible is also extremely helpful. Especially if you haven’t already been assigned your seats. If, despite your best efforts, you don’t make it on time. Make sure you know if your airline has formal or informal policies for late check-ins or missed flights. Sometimes, rules-be-damned, you’re not as screwed as you may think you are. For more tips, check out how to always get to the airport on time. When the holidays roll around, lots of people are traveling and this makes for congested roads. If you have to go by car, it’s best to have someone else drive you for a couple of reasons. First—assuming your driver is responsible—it’ll help keep you on a schedule and feel obligated to be ready on time. Second, you won’t drive as well if you’re nervous about getting to the airport on time. Better to leave that job in the hands of someone who has less at stake and will drive responsibly in the Winter weather. Alternatively, you should consider taking public transportation if it’s available to you. While most days you’ll get there faster by car. On some holidays you can sometimes save some time by taking the train or even the bus. If you’re not sure what will be faster. Then check public transportation schedules online and you should be able to estimate the time it will take so you can compare. Your smartphone can be your best friend when traveling during the holiday. Basic functionality will let you access itineraries via email or your airline’s mobile web site. For an overall better experience, however, you should be using TripIt (for iOS, Android, and Blackberry). It’s a free webapp and smartphone app that manages your itinerary and makes getting your boarding pass much easier. In some cases it can even help you get a digital boarding pass so you don’t need to print one at all. You can also use your smartphone as a way to look up gate information, as it frequently changes at a moment’s notice during the holiday season. Traveling during the holidays is never a pleasant experience. You need to arrive earlier, security takes longer, and you’re more likely to experience delays. If you’re going to be stuck with a longer travel day, you might as well get comfortable. VideoJug offers some interesting ways to get yourself a free first class upgrade. While these tricks might not work so well for the entire family, if you’re traveling home by yourself or with your significant other you might just be able to pull them off. With high bag-checking fees, poor care, and sometimes even theft, you might be better off just shipping your bags home. This is especially useful if you’re bringing any food or liquids. While you’re not going to bring an entire Thanksgiving meal, it’s generally much easier to ship it overnight than it is to deal with it on an airplane—assuming they even let you bring it on in the first place. While it may not be cost-effective in every situation, when it is it can save you a lot of time on your travel day. There are a lot of ways to help identify luggage, but many of them have become a little too common. Tying a ribbon onto the handle or adding some sort of color to your bag isn’t as unique as it used to be, but creating your own luggage tags is a way to ensure nobody’s luggage will look too close to yours. At travel and department stores, you can usually find blank luggage tags that either laminate a piece of paper or have an open slot for a custom tag. Once you have those, just make a design on your computer that’s unique to you and print it out. If you want to have truly unique tags, generate a QR code and add it to your tags. This way if there’s any dispute you can simply scan the code with your smartphone to reveal that the bag belongs to you. Because of the extreme security measures now in place, getting through quickly is basically impossible. You can, however, expedite this process by doing as much preparation as you can ahead of time. First of all, if you’re traveling with a laptop you either want to have it out and ready to load into the x-ray tray or purchase a TSA checkpoint-friendly laptop bag so you don’t have to remove it at all. You’ll also want to have your allowed liquids in one easy-access bag or pouch so you’re not busy sorting through your bag. If you’re bringing any gifts home, don’t wrap them—especially in any foil-based wrapping paper. If you wrap your gifts, they’ll probably end up getting unwrapped by security. Finally, be sure to pack neatly. If your bag does get searched—and it happens to everyone at some point—you’ll save yourself time if it’s packed well. If it’s messy, and the delicate balance you’ve created just to get the suitcase to close is upset, you’re going to need to spend a lot more time repacking after security’s searched your luggage.